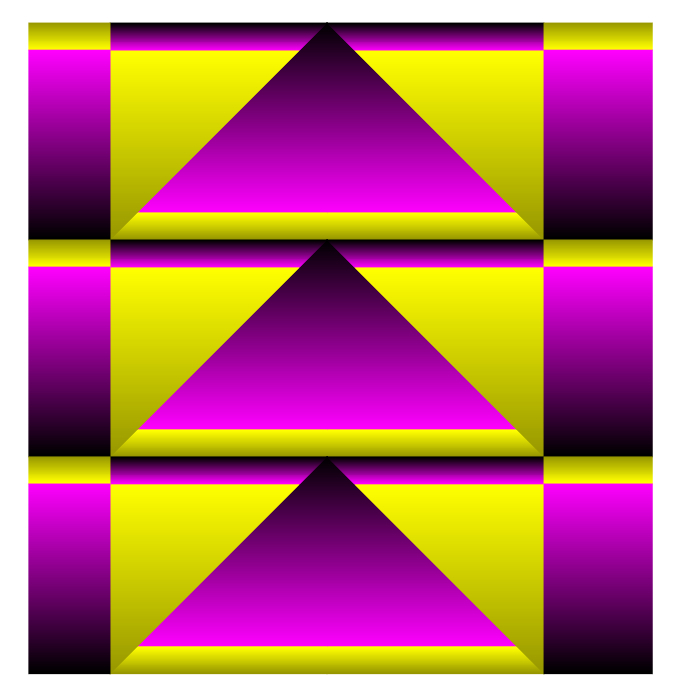 I developed and gathered some illusions. Some of them are developed by myself (e.g. the walker and the dice), others are copied. Copyright: H.J. Kompagnie. Date: March 4th, 2006. How many dots are on the bottom of this dice? 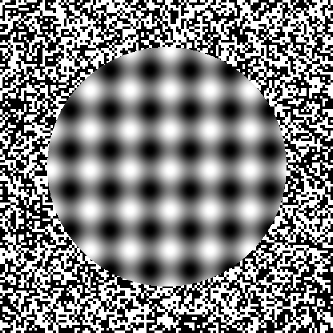 (just count the number of dots passing along). How many little men do you see? Just count them! Then just wait until the shuffling happened and try to count them again. Depending on when you count, you will find 12 or 13 men! What do you see (little gazing comes in handy here)? Just a simple walker. But have a close look at the details! in different grey-scales background color. But in fact, their color is exactly the same! 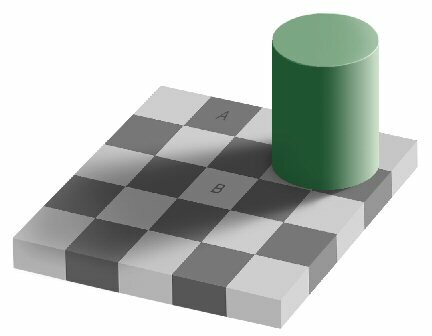 Explanation: due to the shading your brains still consider "A" as darker as "B". 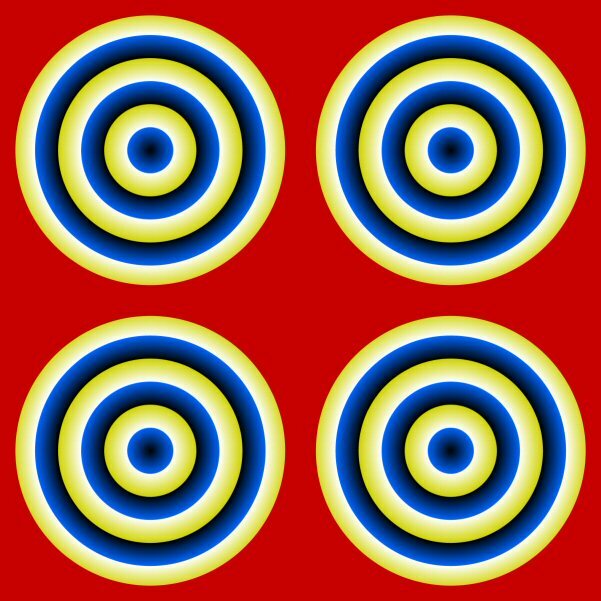 Explanation: in normal view, your eye will have only one depth at clear focus; objects near or far are blur. By combining sharp picture elements and gazed elements, your brains will try to recognize it as having different depths. But it will never find the real focus. By the way, some people see it as a 'hole' in the screen, others might see it as a floating disk before the screen. Out of focus: size changing?. 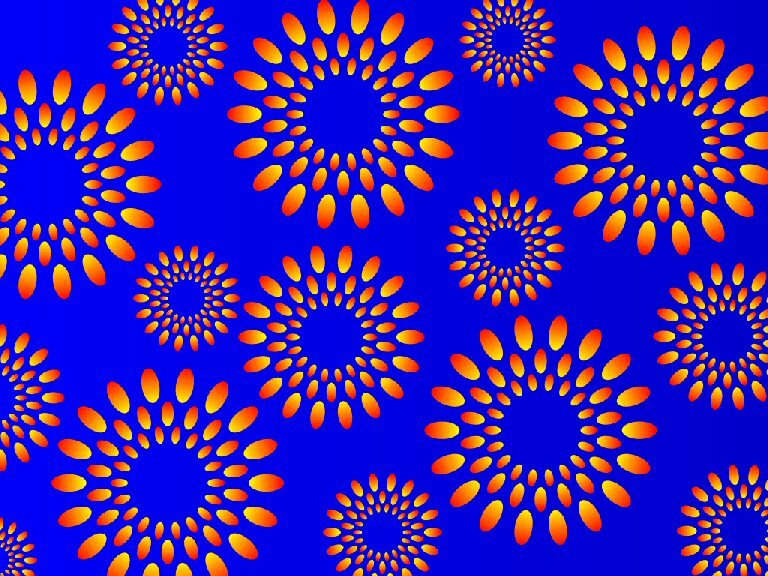 Also: little bit tricky picture! Watch these horses. 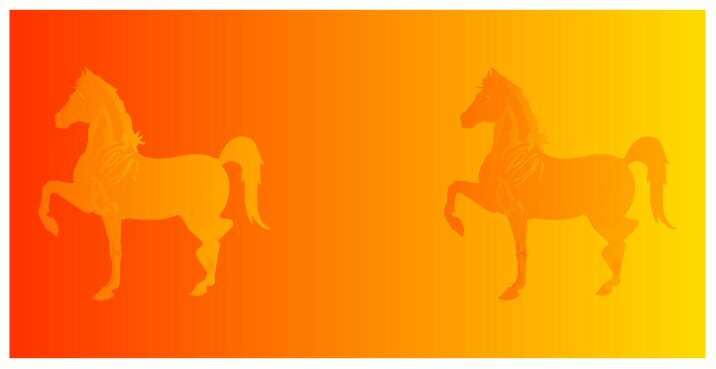 One seems to be color lighter than the other: the left horse seems to be painted in a brighter ligth orange, while the right horse is seems to be colored with a darker orange. Actually, the color of the horses is exactly the same, which can be shown when removing the background. 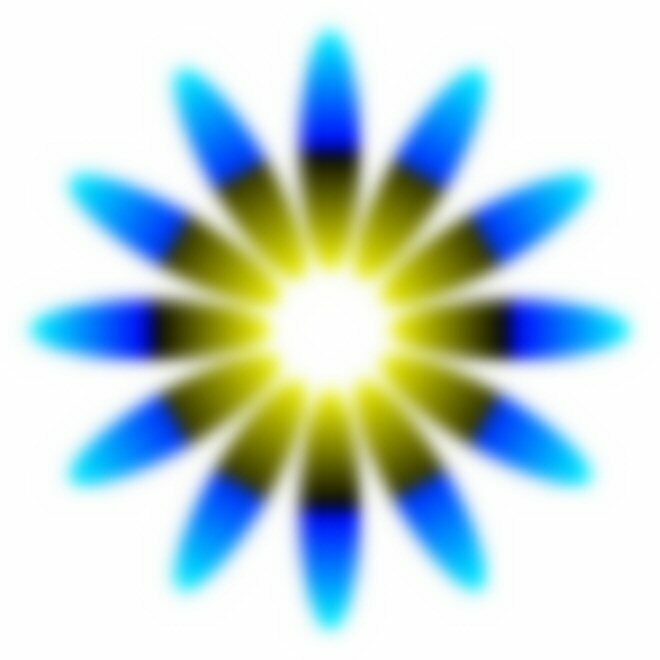 Explanation: due to the background, the object changes in relative color intensity. 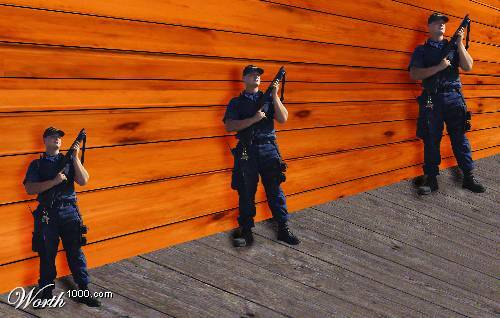 Another effect due to background color. Watch this heartbeat. The yellow beans seem to be moving and thus the heart shrinking, as if they were the edge of a real heart. If you don't believe that the yellow beans are stable, just point to them with a finger. 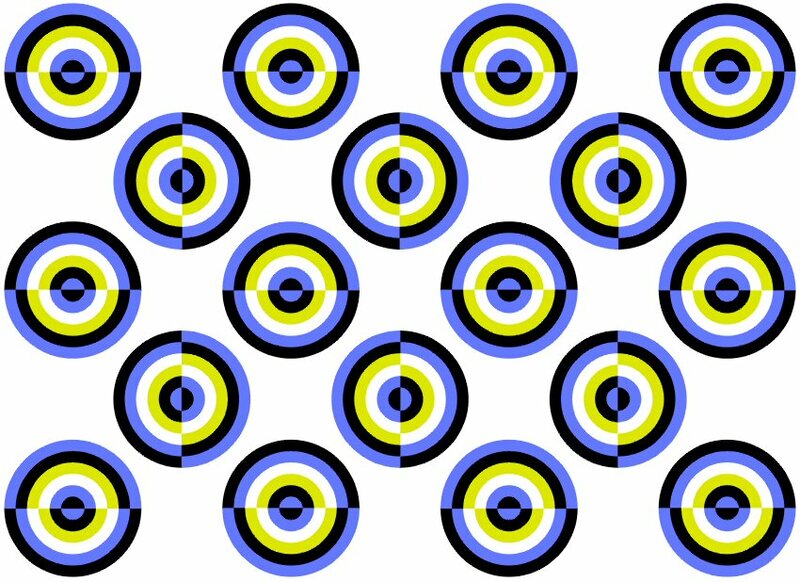 Explanation: due to the changing background color, your eyes are adapting the intensity, thus changing the object que. Another example of influencing colors. 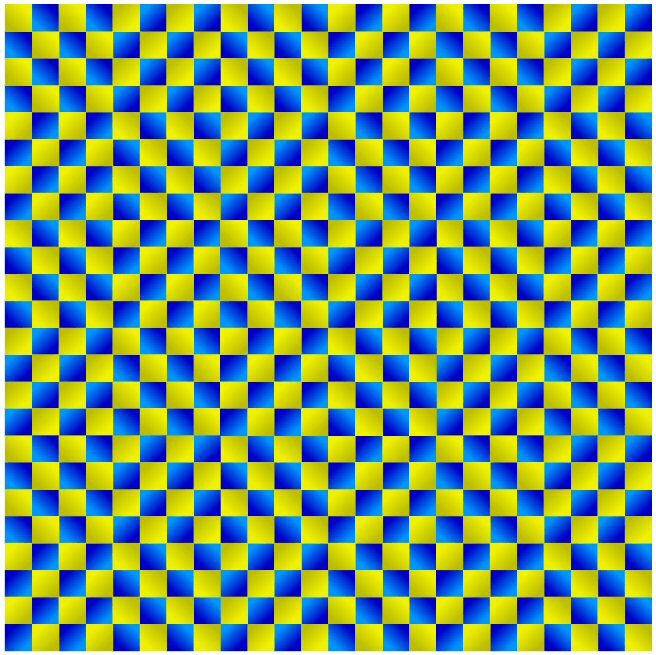 How many blue colors? have been used in this picture?. 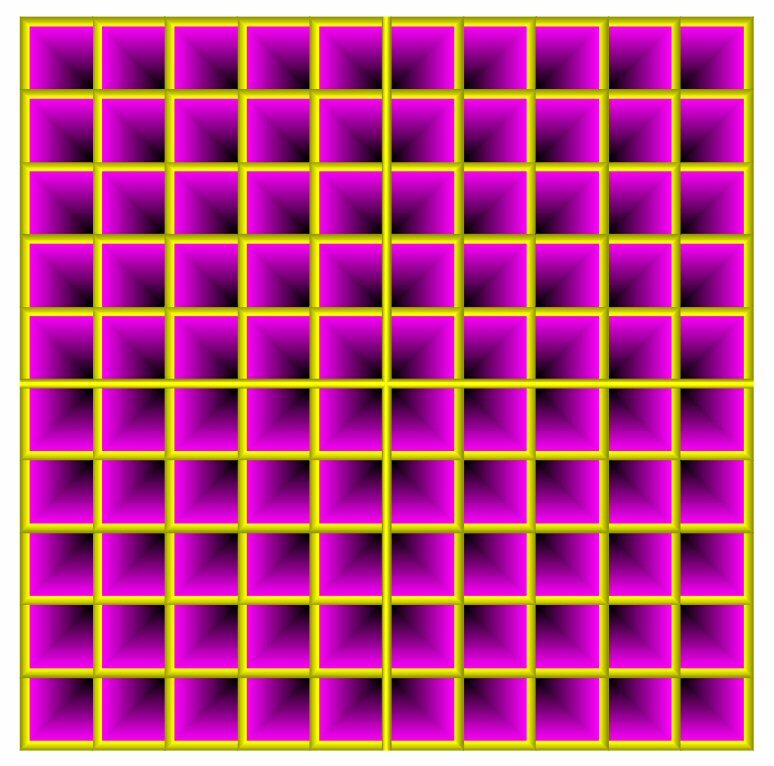 Now some pictures which seem to move due to shading.